The perfect gift to celebrate the coming together of two families. 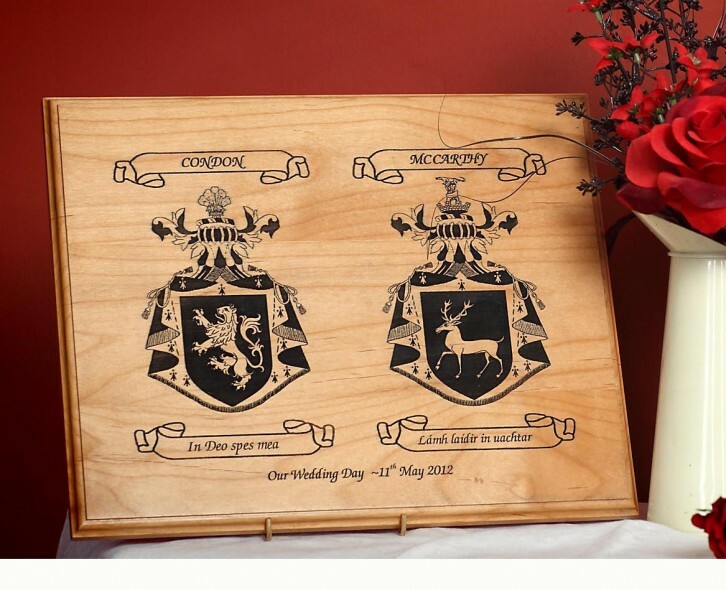 Our custom made products give a modern look to this great tradition. 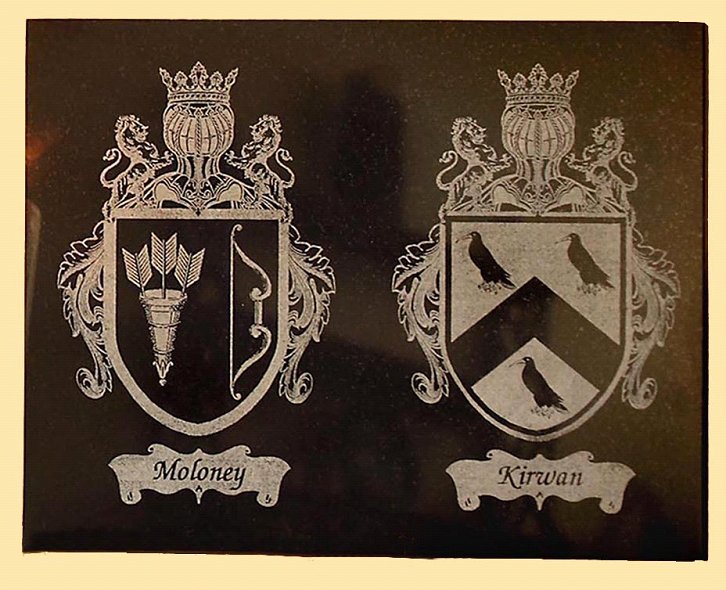 Whether the Crests are a gift or just for yourself, they are greatly appreciated and admired. 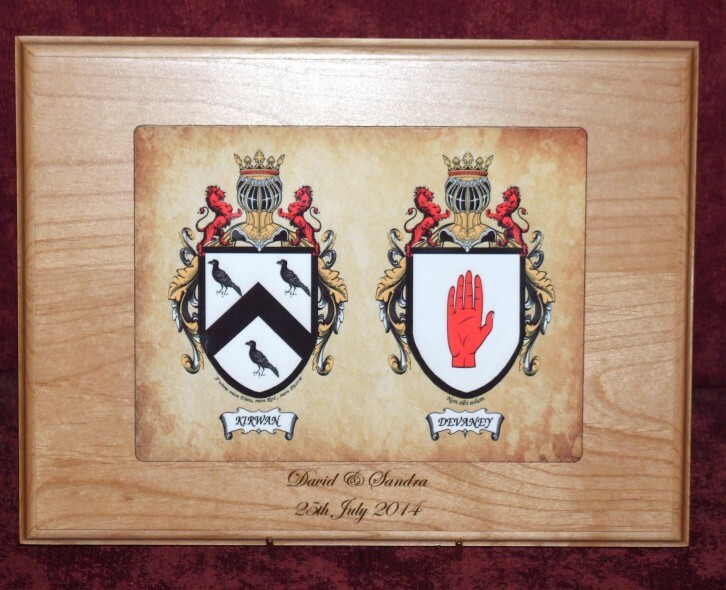 Both family crests are lasered onto a special wooden plaque, You can add your own personalised caption underneath (Or on the back of the plaque). 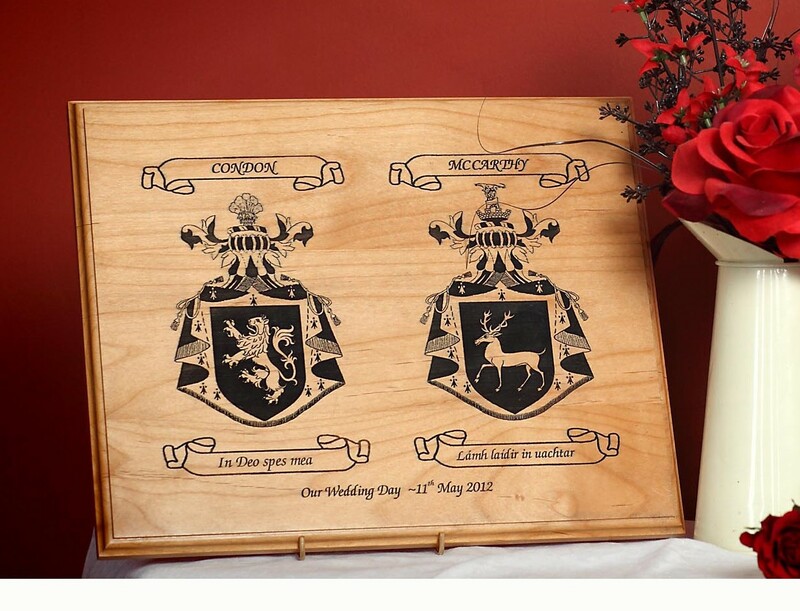 Perfect as a Wedding or Anniversary gift.